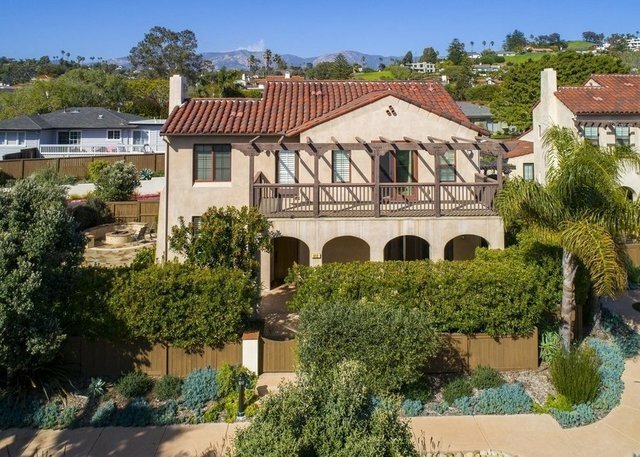 This stunning ocean view Mediterranean home on the Mesa will capture your heart with its classic Santa Barbara architecture and ideally set location. Within short blocks to beaches and all the charming Mesa shops & restaurants, you will feel so close to all the action yet comfortably away down a cul de sac. This elegant and spacious home was recently built and offers all the amenities you would expect in a refined home, including an impressive kitchen appointed with Viking appliances, high ceilings, a grand center island, & an open floor plan that makes entertaining a breeze. The dining area opens to a lovely flagstone patio & fire pit. Upstairs, the Master suite extends out to a large balcony where one may witness the most colorful ocean & island sunsets. This Mesa Gem is a must see.